Get insider advice for enjoying the less-visited corners of the Balkan Peninsula, from Bosnia's atmospheric mosques to Montenegro's scenic coast. And as we mark the centennial of the "Great War," hear about the most compelling places in Europe to learn about American soldiers' contributions to World War I. Plus, listen in as tour guides share their tips for enjoying Kraków, the cultural and spiritual capital of Poland. Ben Curtis, author of "A Traveler's History of Croatia" (Interlink Books) and "The Habsburgs: The History of a Dynasty" (Bloomsbury). Ben Curtis has written "A Traveller's History of Croatia" and "The Habsburgs: The History of a Dynasty." In addition to Sarajevo, Rick recommends visiting Mostar. Ben suggests multicultural Prizren in Kosovo, the Bay of Kotor in Montenegro, and Bihać as an alternative "backdoor" destination in Bosnia and Herzegovina. Smithsonian Magazine discusses the possible discovery of ancient pyramids in Bosnia, about 20 miles north of Sarajevo. 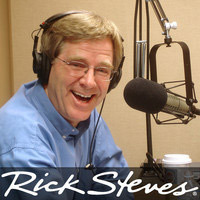 Ben and Amir describe World War I sites in the Balkans on Travel with Rick Steves program #365 from May, 2014. Mark D. Van Ells is the author of "America and World War One: A Traveler's Guide." A description of the American doughboys' role in the battle of Chateau-Thierry. Mark recommends the American Battle Monuments Commission for discovering First World War monuments and sites that honor American troops in Europe. Online resources for planning a visit to World War One museums mentioned in the Mark Van Ells interview include the Paris Military Museum at Les Invalides and the Musée de la Grande Guerre du Pays du Meaux in France, the HGM in Vienna, the Imperial War Museums in London, and the National World War I Museum in Kansas City, Missouri. A castle has stood on the Wawel Hill in Kraków since the beginning of Poland's recorded history. The Kazimierz neighborhood is the historic Jewish Quarter of Kraków. Rick blogs about visiting the factory where Oskar Schindler employed Jews during the Nazi rule in Poland. Recommendations for visiting the Auschwtiz-Birkenau concentration camps near Kraków. A map to the Nowa Huta area of Kraków, where Beata grew up during the Communist years. A list of sites related to John Paul II in Kraków.